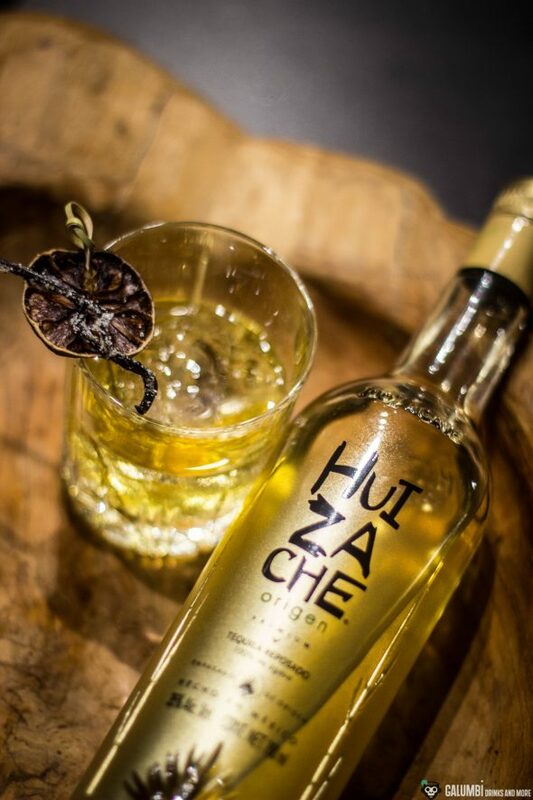 I had already announced it and today I would like to deliver: I am talking about a cocktail recipe suitable for the Huizache Origen Tequila. In fact, I do not need many words here, because in the end, the recipe of the drink speaks for itself and everyone who appreciates my taste inspiration for this drink will hopefully enjoy it. Surely most people will know a really nice and high-quality vanilla ice cream. An ice cream that brings beautiful and authentic vanilla notes and often comes with a hint of lemon peel. Well, this is exactly the kind of ice cream I had in mind during the experimental phase for today’s cocktail. And that’s it! That was the whole background story. So now, you know why the drink is simply listening to the name “Vanilla Thoughts“. 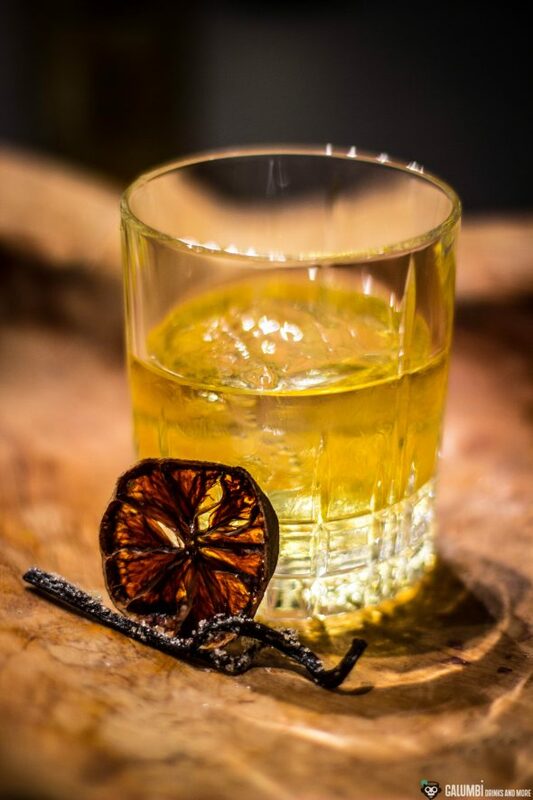 The aromatic and spicy vanilla in this old-fashioned-style drink is provided by some Spanish Licor 43 and the base character of the Huizache Origen. In addition there is a hint of agave sweetness and 2 Dashes of The Bitter Truth Lemon Bitters. That’s all. 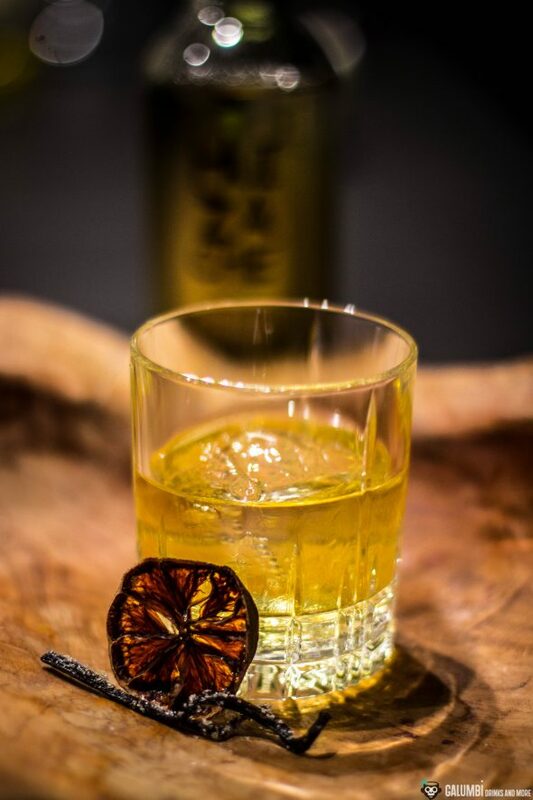 I really like the taste of the result very much, even though – and I have to mention this criticism again – I would have wished for a little more alcohol in my Tequila. But be that as it may, that is definitely complaining about first world problems. Preparation: Simply pour all ingredients into a glass filled with a massive ice block, stir briefly, ready. 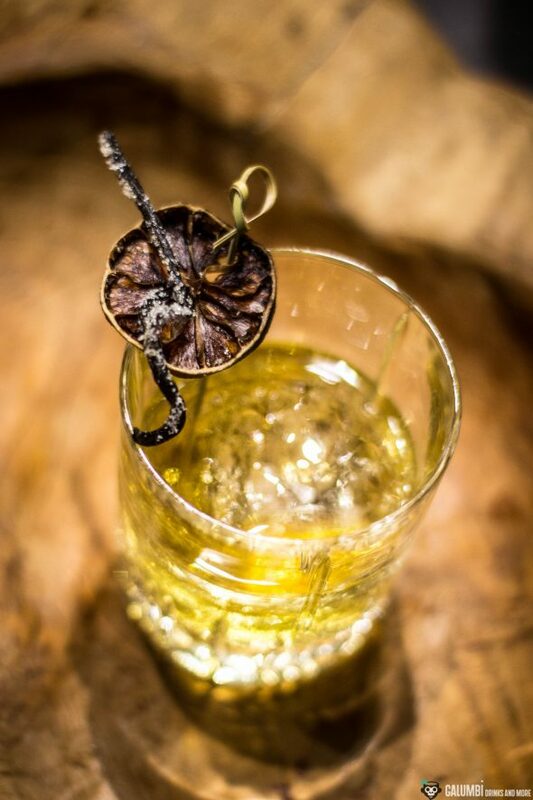 Garnish: sugared vanilla pod and a dried citrus wheel.